Big Shy Jack was given to Merciful Maiden Critter Haven. He had been purchased by his owner to be an “ornamental” donkey; that is, the owner wanted “something to look at” outside his kitchen window. When the novelty had worn off and he was tired of feeding the donkey, Big Jack needed to go. He had never really been socialized much, so he was extremely shy and reticent to let anyone approach him. In time, he began to trust, and now he willingly seeks love and attention. What a great guy! Elvira and Emily came to Merciful Maiden Critter Haven because their owners were unable to brave the winter weather to care for them. They carefully sought a home for them. Elvira was very very shy, but Emily was very friendly. Luckily, Merciful Maiden Critter Haven had room for them both. Next to Emily is the mini-donkey Captain Jack. His owners decided to move to the city and needed a home for him quickly. So here they all are! 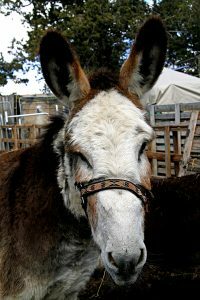 Donations are needed and much appreciated for the farrier who comes every eight weeks to trim their hooves. 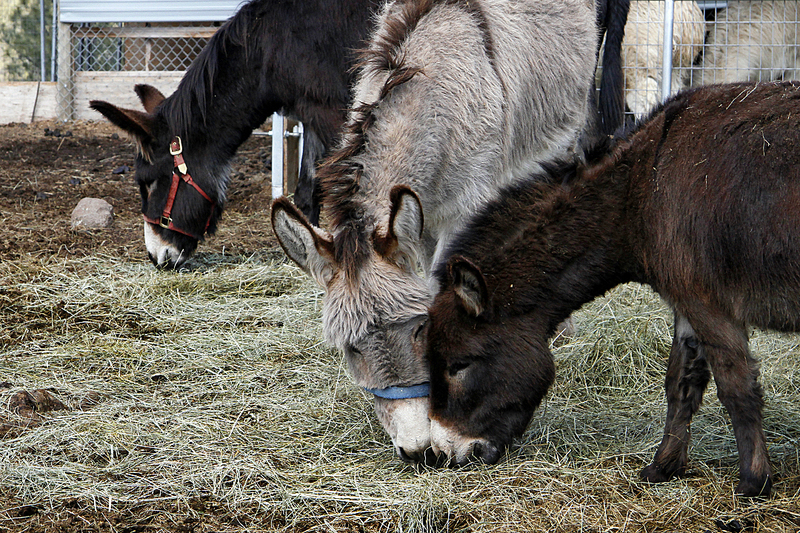 The donkeys thank you in advance – hee-haw!